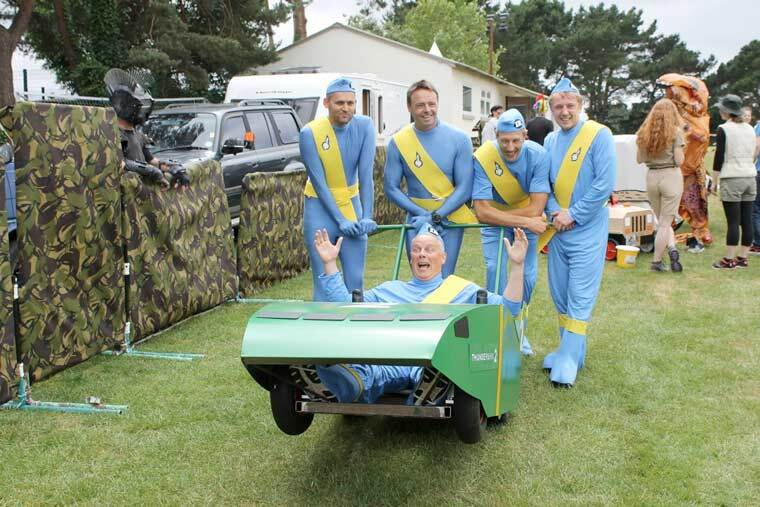 It’s the John Thornton Pram Race in June and the charity is looking for as many teams as they can muster to not only make the event a fundraising success, but also to make it a spectacle for the Ferndown Fete on the Field attendees. On Saturday 23 June, the prams will take to the starting line on King George V Playing Field at 3pm and follow a 1.5 kilometre course, with various fun challenges and activities along the way. Competitors must be over 16 years of age and an entry fee of £10 per person is payable on registration. If you don’t want to miss out on this fun-packed event, get your team together and sign up. You will need a minimum of two people, up to a maximum of five. Teams will consist of a ‘baby’ and at least one pusher, up to a maximum of one baby and four pushers. Obviously, you’ll need a pram, too, and dressing up is essential! The charity says they’ve got an exciting line up of prams and teams, and this year the addition of an optional drag race will add to the fun. Prams will compete against each other and the clock, with a prize for the winning team. There are lots of prizes and trophies on offer, but the main focus of the event is fun. If you feel like you are up for the challenge, please phone Pete Thornton to register your interest on 07792 121645.